Christmas Trees on Sale This Wednesday! Stop by this Saturday between 9am and 5pm to enjoy delicious food vendors, live music and over 50 local artisans on display. 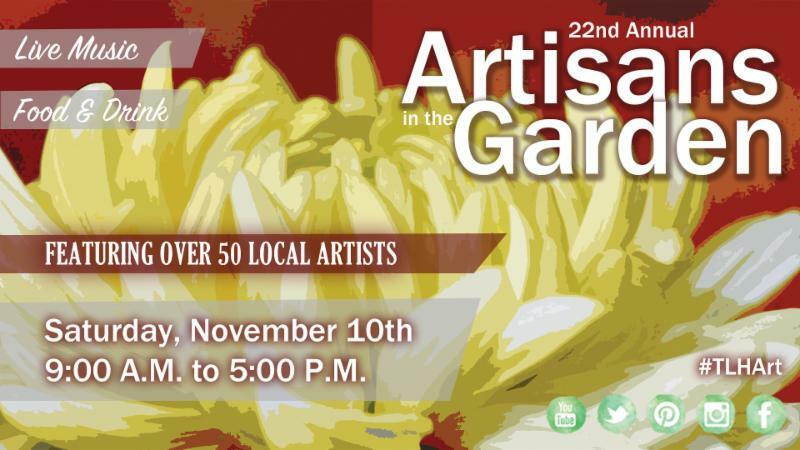 This is a great opportunity to celebrate local vendors and get some holiday shopping done. Parking for this event will be limited. We recommend carpooling and/or using a driving service to get you to the fun. Beautiful bright red blooms give you instant curb appeal. A new shipment of gorgeous hanging baskets have just arrived. 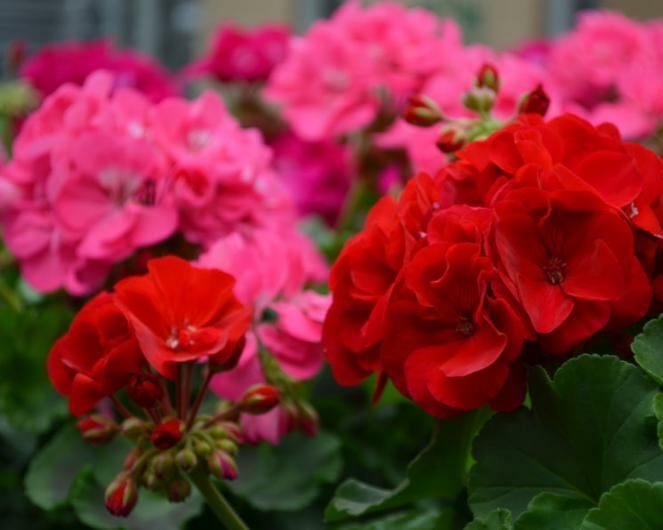 We also have geraniums in 4" and 6" pots as well. Put them in full sun to partial shade. While strolling through the nursery, be sure to check out our wide selection of pansies, violas, and other cool weather annuals. 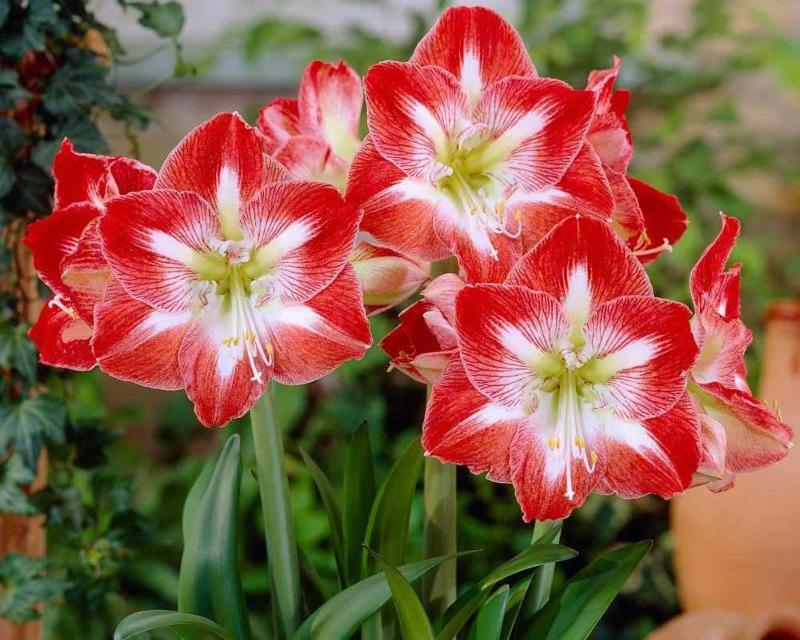 Over 60 varieties of Amaryllis bulbs are now in stock! Plant bulbs 8 weeks before you would like them to bloom. Once they start blooming, expect the flowering time to last 7-10 weeks. I love planting similar colors and forms near each other.  The subtle pairing adds visual interest in such a soft and pleasing way that it may go unnoticed by some, but it will be appreciated by all. 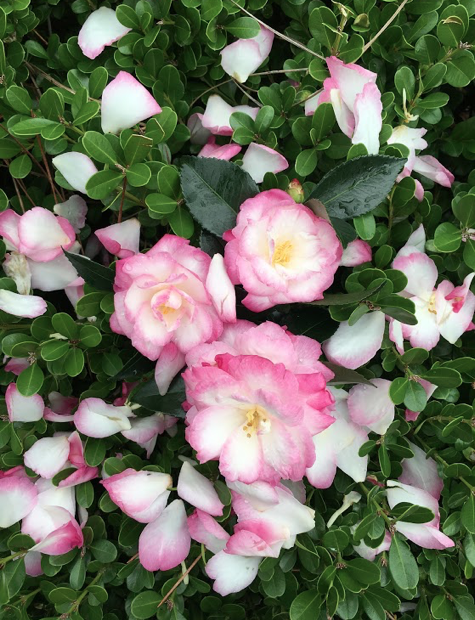 Try mixing these two camellia look-a-likes in your garden for a soft & subtle fall color combo. Christmas Trees will be here for sale THIS WEDNESDAY! For best selection, be sure to come select the perfect tree for your home and receive 20% OFF before Thanksgiving. Not ready to bring your tree home yet? No worries! Come select and purchase your tree and we will take care of it for you until you're ready to bring it home or have it delivered. 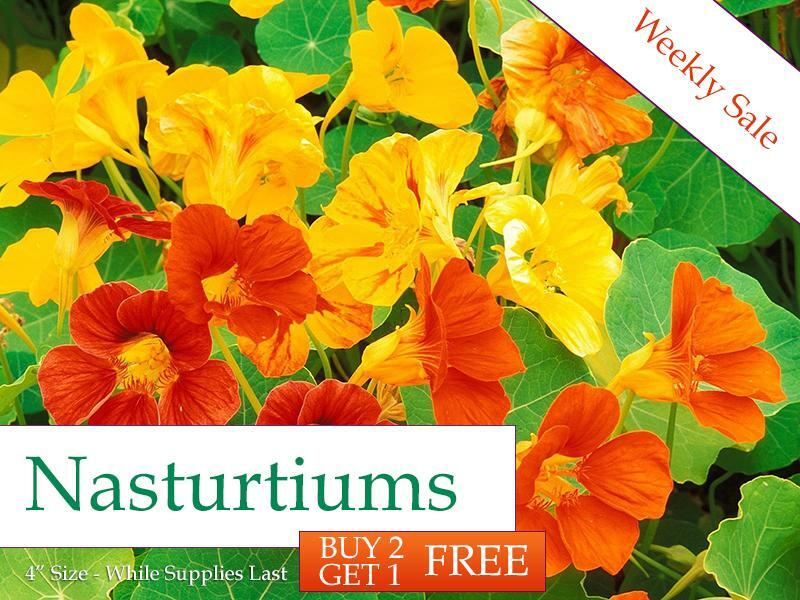 Nasturtium is an easy-to-grow fall annual whose leaves and flowers are edible! These plants, with their bright greenery and vibrant flowers, are good for containers or as ground cover. Their pretty fragrance also makes them a good choice for cut flowers. Nasturtiums are perfect to grow with children because they grow so easily and rapidly. 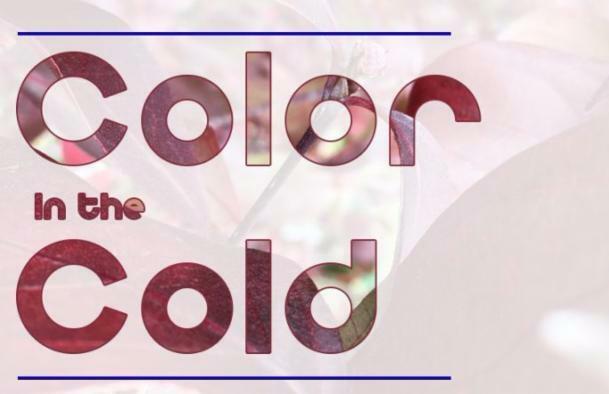 With cooler weather comes changes to our gardens and landscape, but there's no reason to give up color in these colder months. Check out these great ways to bring color to your landscape that won't shiver in the lower temperatures. Get in the holiday spirit and join us for our Christmas Open House! We'll be open special hours on November 16th and 17th from 6pm - 8pm. 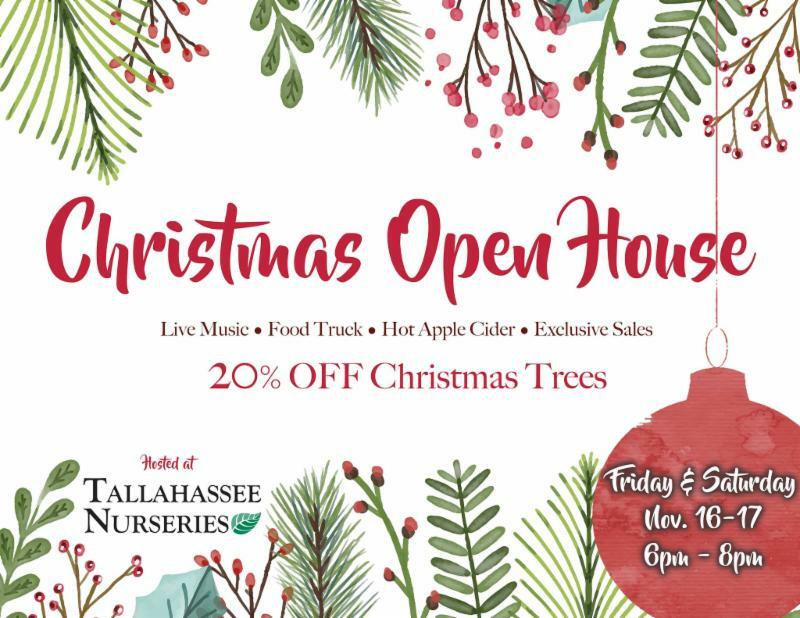 Come enjoy live holiday music by local FSU student musicians, Food Trucks, festive Christmas photo spots, exclusive nursery-wide sales, and 20% OFF all Christmas Trees! ﻿Start or continue tradition by picking out your Christmas tree from hundreds on display. 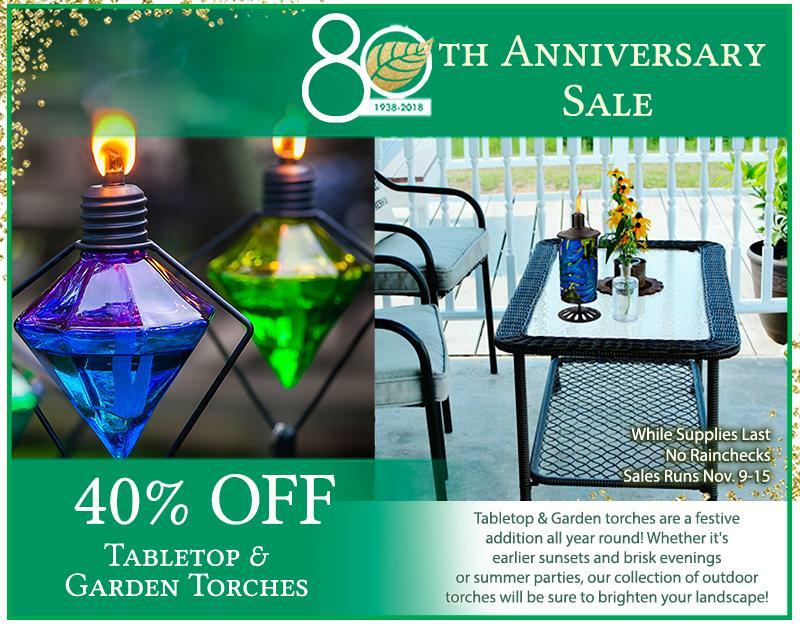 Purchase one now, and for no extra charge, we'll take care of it for you until you're ready to bring it home!